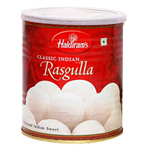 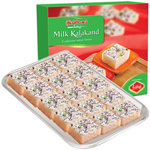 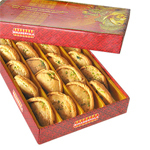 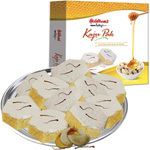 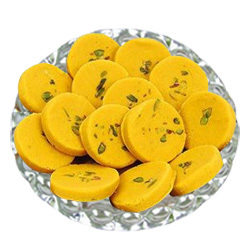 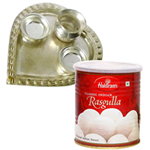 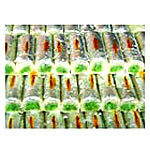 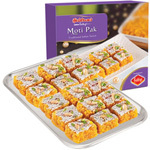 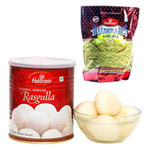 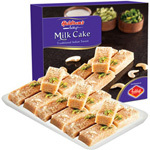 Enticing Motichur Ladoo from Haldiram / Reputed Sweet Shop Tasty Pack of Tinned Rosogolla - 1 Kg. 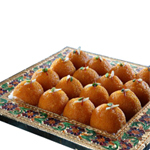 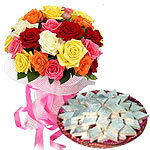 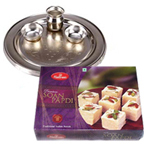 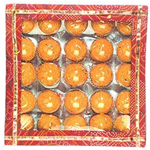 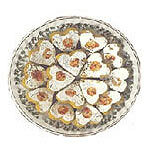 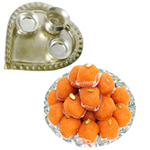 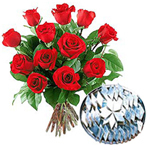 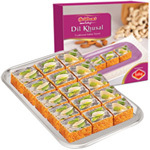 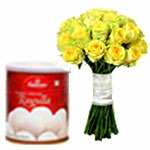 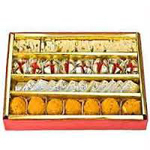 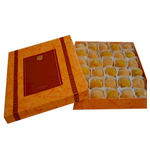 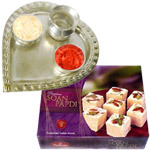 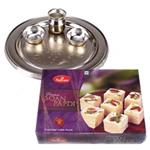 Mixed Sweets Box and Pink Roses Bouquet Tasty Pure Ghee Laddu from Haldiram Golden Plated Thali. 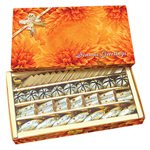 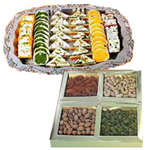 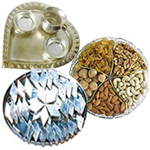 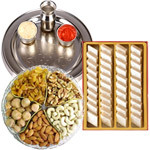 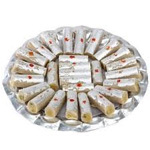 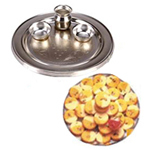 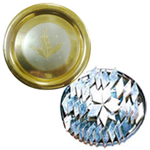 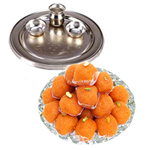 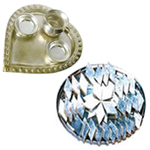 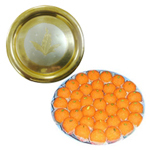 Enticing Pure Ghee Laddu from Haldiram Special Silver Plated Puja Thali with Assorted Dry fruits with Haldiram Kaju Katli Silver Plated Thali with Motichur Laddu from Haldiram Wonderful gift of Silver Plated Paan Shaped Puja Aarti Thali (weight 52 gms) with Motichur Laddu from Haldiram.